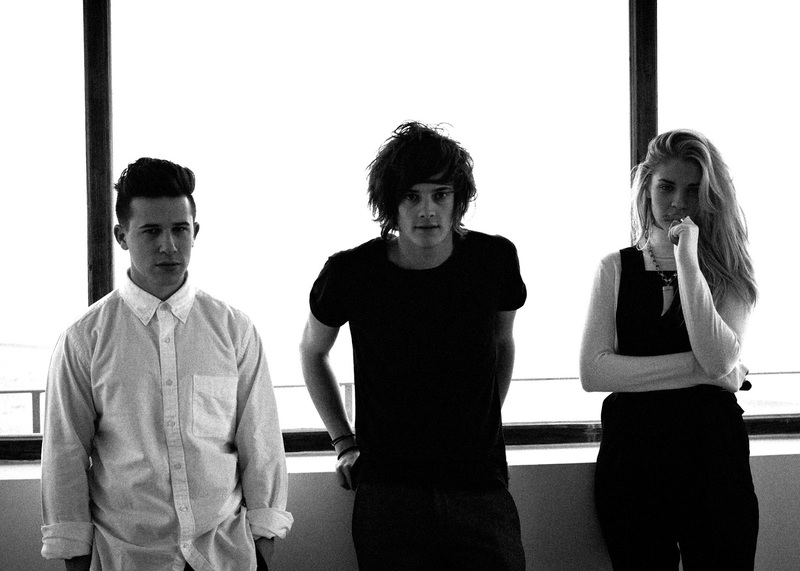 London Grammar’s have released their debut album, If You Wait, and it is absolutely sensational. So sensational, that we had a chat to Dot Major, keyboardist, drummer and co-producer. SW: So you’ve finally released your new album If You Wait, are you excited to have it out? D: Yeh most exciting, it’s kind of the moment everyone waits for. As an artist you’re obviously defined by your albums. It’s been a relief for all of us to have it out. SW: After the success of “Hey Now” was it a bit of pressure for the album to be as well received? D: Well we’d already written all the material before we released “Hey Now”. None of us really expected the first few tracks to have the success that they did so it did put a bit more pressure on the album. We didn’t want to change what we’d already done just because of success, so we had to stick with the album we were really happy with. SW: You spaced out the tracks from the EP pretty evenly across the new album, was that done on purpose, and is tracklisting pretty important to you? D: I think tracklisting is important for any album, to have flow and a journey across it, but there are some albums where if you have a successful EP, then the album gets rushed and you end up with an album like the EP but thinner. First of all we never wrote any singles, just wrote a lot of tracks. And secondly, I don’t think we consider the EP tracks to be any more or less important on the album. Obviously we have our favourite tracks.. I think “Hey Now” is just a great opener, it has that kind of introductory atmosphere which is cool. SW: What’s your favourite track? SW: Is that to play or to listen to? D: To listen to. When we play live, I honestly love “Hey Now”. SW: So you’re heading to Australia for the first time ever for Falls festival, what are you expecting? D: Well hopefully some sun and going to Byron bay and Marion bay, they look amazing. SW: Do you have a favourite gig you’ve played? D: Well obviously we all loved Glastonbury, that was amazing. That’s a bucket list moment, and I’d been there before, but to play was something different. We did this other festival called Wilderness, but we missed our main stage, the worst traffic you’ve ever seen, and then we ended up playing on this tiny busking stage which only had about 50 people watching all day, and we played it in the middle of the night as kind of a secret show, and we still had 3000 people watching us on the busking stage which was really cool. SW: And you’re a producer as well, did you have a lot of input and creative control on the production of “If You Wait”? D: We definitely had creative control over it, we all kind of produced it.. well I produced it in terms of the technical sides, but Dan had very strong ideas on the production. And then we coproduced it with these two guys, Tim Bran and Roy Kerr, which was amazing. SW: Did you take any substances to enhance your creativity, like Macklemore and his cough syrup? SW: What kind of music do you listen to? D: We all listen to different music. Hannah listens to a lot of classic old pop stuff like Tina Turner and Michael Jackon and things like that. And then Dan listens to Radiohead, The National, Alt-J. I listen to a mixture of stuff. When I want to chill out, a lot of classical piano music. I can’t sleep, I listen to a lot of that, because I know every note so well, its like at least I can zone out to that and get a bit of sleep, but if there’s a really loud bit I just get woken up anyway. D: Yeh I know, my friend listens to a lot of that, all that white noise and brown noise. There’s a website simplynoise.com. SW: So what’s brown noise? D: It’s a scientific invention, that makes you poo yourself haha. I don’t think that particular brown noise is actually what he listens to, he used to listen to it while working. I think its just like white noise. I have a thing now where I’ve had the fan on all summer and now I’d rather have that steady noise on than not. SW: Have you done many covers? D: Yeh so we did “Wicked Game” by Chris Isaak and I’m sure we’ll play that when we come to Australia. For BBC1 we did a La Roux track, “In for the Kill”, but a more upbeat version. SW: Any favourite Australian bands? D: In fact my favourite rock band ever is from Australia, Karnivool, they’re absolutely amazing. They’re really technical, heavy rock. It’d be so good to play drums in one of those proggy rock bands, and they did a track with the Cat Empire as well. And then more modern stuff like Chet Faker and Flume, love them. SW: Do you listen to your own music much? D: Honestly, making the albums I listen to it obsessively, we all did. Hannah expecially, she got to a point where she stopped listening to anything else for a while. Dan listens to the most music, he knows all the good new bands. I don’t think now any of us listen to the album because it’s just come out and I know every song so well. SW: Did you grow up around music, did your parents listen to a lot? D: My parents are both musical. My dad had ambitons he harboured when he was young, but just went into something else. My brother’s an artist as well, he’s amazing,he’s just writing the material for his first album, I’m sure you’ll hear about him, he’s Bruno Major. And growing up I played piano when I was 4 and then drums a bit later when I was 8 or 9. The whole production thing is amazing for me, I love having that much stuff at your fingetips. SW: How do you feel about illegal downloads? D: I think its an inevitable part of the world that we live in, where the music industry’s gone. I think there’s no way that London Grammar could ever complain about what the internet has done to the music industry. It’s been so helpful to us in terms of whats happened online and abroad. If it wasn’t for the internet none of this would have happened. I’d rather people illegally download it than not have it at all. The more people are downloading it illegally, the more are downloading it legally, and the more people are going to have it. It’s not the only way for artists to make their living, and most importantly people hear the music. It would definitely annoy me if they downloaded it in bad quality, so if you’re going to steal it just make sure you steal a good sounding copy. SW: If you’re music were to be the soundtrack for a movie, what would it be? D: There’s a film called “The Awakening”, I’m not sure it would really fit though..
SW: Isn’t that a horror film? SW: Do you have tips for success for new artists considering your early success? D: I think the one thing I would say is be aware of what you’re putting online. It’s really hard to think about filtering what you put online in terms of videos and music. The thing is a lot more gets seen than what you think in the music industry, they’re desperate to find new talent. Lots of new bands recently,whether it be friends of ours or people we know or met, that are getting success, so many times is because of a video they put online and someone’s seen and thats gone around. London Grammar are playing Falls Festival over New Years, catch them there or at their sideshows in Melbourne and Sydney.